Select File > Restore and Open Backup. In the Open Storyboard Backup window that appears, locate and select the *.sbbkp file. On your computer, go to the location where you saved the *.sbbkp file and double-click its icon. In the browser window, select a place to save the restored file. 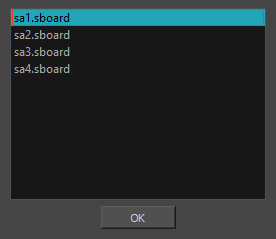 If multiple projects are present in the .sbbkp file, Storyboard Pro will ask you to choose which one you want to use.